Organic SEO refers to a process of naturally getting your website listed higher on Internet searches. These results show up in section of search results pages that are not marked by "Ads". 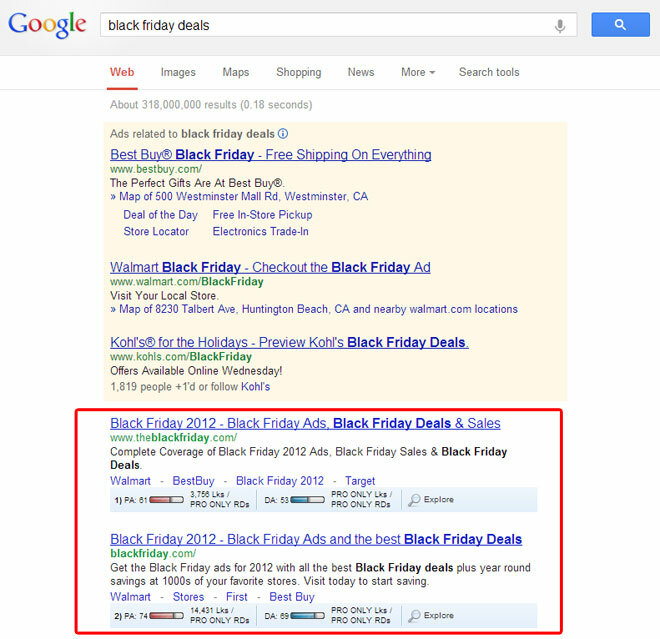 These are the organic, or natural results for a search query. Search engines like Google, Bing, or Yahoo list their search results based on an unbiased, algorithmic query to hopefully provide the most suitable and updated resource for the search term. Each search engine follows their own rules and uses their own unique algorithm to determine the results of a search. As such, SEO companies that know the particulars of the individual search engine behaviors can optimize a website to be suitable for multiple search engines. The best rule of thumb is to have a clean, well designed and organized website that is useful, relevant, and well written. There are several criteria used to rank a website. A stellar criteria is the relevance of the content on the website page to the topic it claims to address. A website that is titled "The Endangered Species" and talks about life insurance is an example of a website with irrelevant content. The keyword phrase focused on the website page is also important. If the keyword is unpopular, the chances of this page being found is reduced. These websites should also be well written and properly structured with the most current web standards. Another factor for Organic SEO that is harder to manage is getting other websites to link back to your website. The websites linking to your website should also be suitable to your page and should also be websites of good standing as well. Be sure your websites have sitemaps and have been properly submitted to the search engines. Also, be sure to check the page for "follow" or "nofollow" url linking. Generally speaking, a "nofollow" link won't provide significant "link juice" to the website it is pointing to, though it is arguable that "nofollow" links can still provide traffic by writing helpful material that someone will want to click through to learn more about. Still another thing to remember is to take advantage of social media like Facebook or Twitter to spread the news about your new website especially since those sites get a lot of traffic and are indexed by search engines quite frequently. It's a fast way of getting your website noticed, sometimes within hours of publishing. While this is not actually a search engine optimization strategy, it is a good avenue to explore when working on improving the ranking of your website externally. In choosing the right SEO company to work with, it is imperative to determine also whether their strategies for improving your rankings are legitimate or not. These practices are called "Black Hat", for shadier business, and "White Hat", for maintaing interity in your Organic SEO campaign. Perhaps in a future article, we'll delve deeper into what to look for regarding these two strategies. Many search engines will ban your site if it is found to use any "Black Hat" tactics. So before you try a shady technique, think about that and ask yourself if the temporary gains are worth the long term negative impact to your business.